Earlier this month, Microsoft surprised us all with the announcement that they built a Linux kernel-based operating system, Azure Cloud Switch (ACS), for developing software products for Network Devices. Now, Microsoft just announced that they have selected Ubuntu as the operating system for their Cloud-based Big Data services. To expand its Azure Data Lake project, that makes Big Data processing and Analytics simpler and more accessible, Microsoft has partnered with Hortonworks and Canonical to launch “Azure HDInsight” for Linux users. Azure HDInsight is a Hadoop-based Big Data solution powered by Cloud that is now also available for Ubuntu, along with Windows OS. By offering both Windows and Linux clusters, Microsoft’s fulfills its aim to enhance its own cross-platform aspirations that will accelerate a move towards Hybrid Cloud Computing. 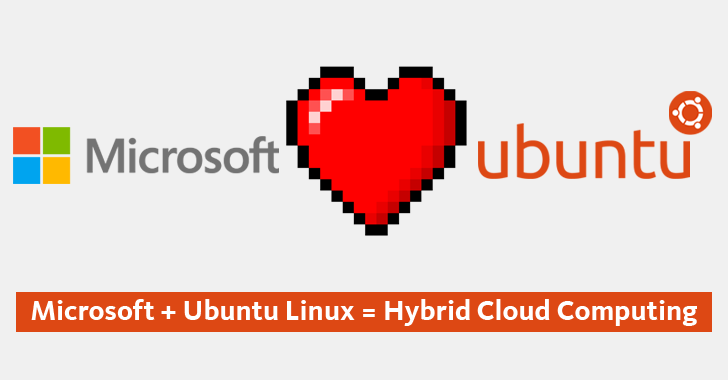 “The collaboration between Microsoft and Canonical to create the option to run Azure HDInsight workloads on Ubuntu or Windows gives Azure customers flexibility in their big data processing decisions, both on premise, and in the cloud,” Ubuntu said in a blog post. You can manage all Azure HDInsight Linux clusters using Apache Ambari, which allows custom configuration settings of Hadoop clusters and real-time monitoring. Azure Data Lake Store: Provides a single repository to capture easily data of any size, type or speed without forcing changes to their application as data scales. Azure Data Lake Analytics: A service built on Apache Yarn that dynamically scales the customer environment based on need. So finally, with all recent announcements under Satya Nadella, we see a growing and optimistic Microsoft that is not Windows-obsessed.